Remember “The Black Bass” and “Shaq Fu”? Neither do we, but cleaning out the office recently we found a couple awful old sports video games you may have missed (because they are fake). Here are the first two. We’re also welcoming submissions of your own obscure and terrible sports video games. Here’s an NES classic celebrating the drunken tradition of trying to start the wave. Experience the thrill of fan apathy, tangle with fan assistants and keep that beer meter full! More recently, womens’ golf jumped on to the “street” trend. 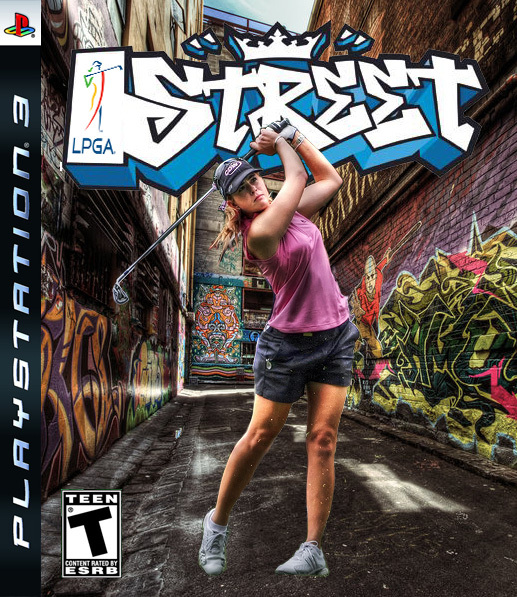 It’s time to take women’s golf back to where it all started – THE STREET! EA Sports’ new “LPGA Street” puts YOU in control of all your favorite female golfers. From Inbee Park to Jiyai Shin, all of your favorite LPGA Tour golfers are here. You might watch the LPGA Tour every week but you’ve NEVER SEEN WOMEN’S GOLF LIKE THIS BEFORE! – The hottest FREESTYLE GOLF ACTION featuring OUTRAGEOUS DRIVES, INSANE IRONS and HEART-STOPPING CHIPS! – FULLY PLAYABLE, INTERACTIVE LEVELS including Rucker Park, Venice Beach and the Greenbrier Golf & Country Club Parking Lot. – Signature moves from today’s hottest LPGA stars. Blow the competition away with Gerina Piller’s signature DOWN ‘N’ DIRTY DRAW DRIVE! Melt faces with Paula Creamer’s XTREME CHIP & RUN! Crush the field with So Yeon Ru’s PITCHING WEDGE FLOP SHOT. String shots together for AWESOME COMBOS to take down even the toughest par-fives.